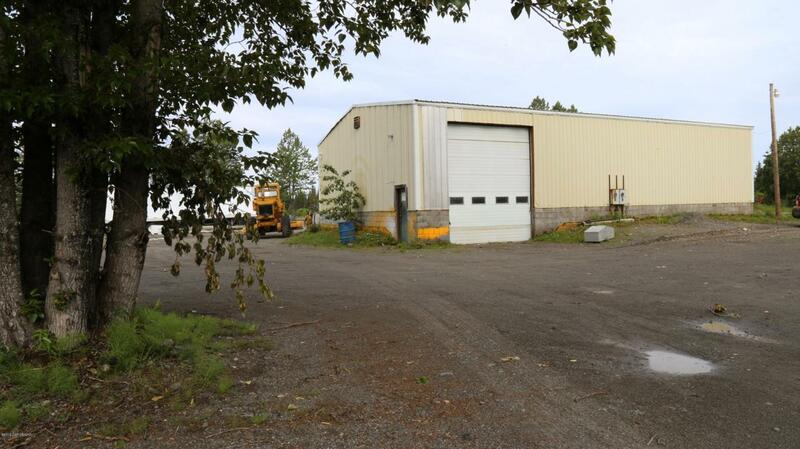 Large 60x40 Metal Shop plus 2 studio cabins on 7.59ac. Natural Gas, Public Water and Electric are available. Use the shop for your business and have lots of room to spread out. This property is approx 80% covered in gravel with beautiful Cottonwood trees. Potential for a large commercial operation, RV park or subdivision. No restrictions or zoning.Close to golf course, K-8 school, beach and River.